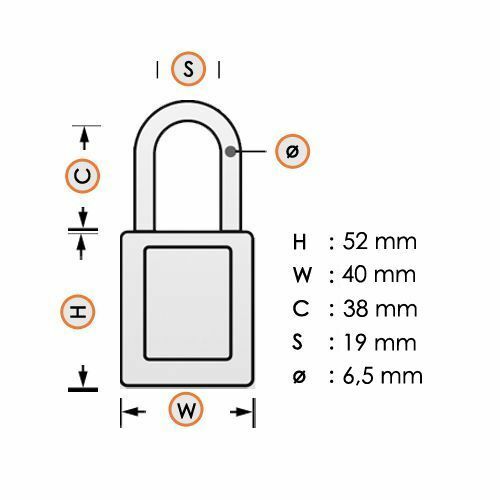 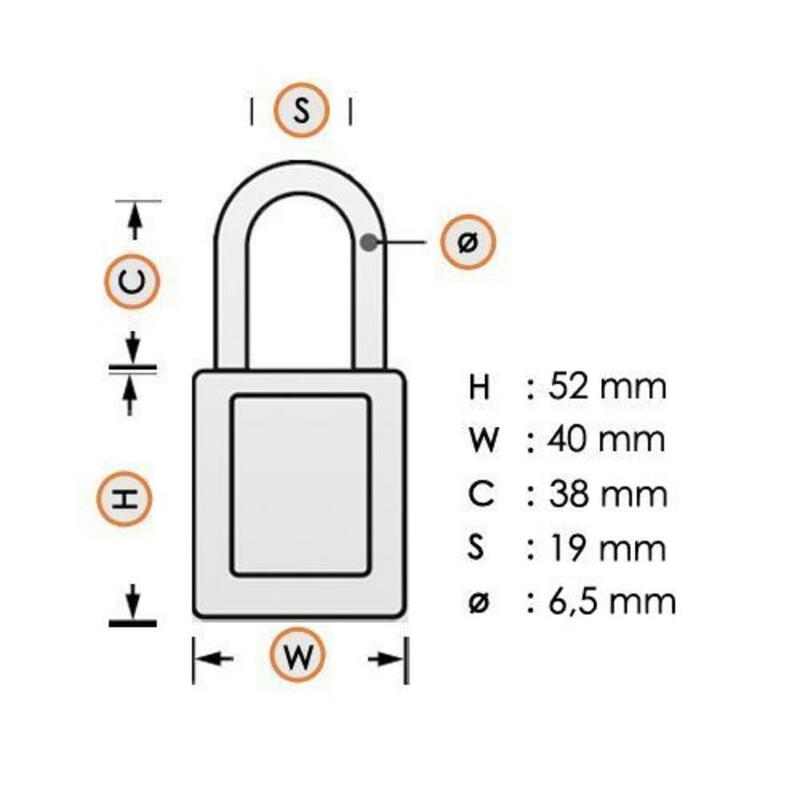 Aluminum safety padlock with yellow composite cover, insulated steel shackle (ø 6,5mm, H 38mm) and key retaining function. 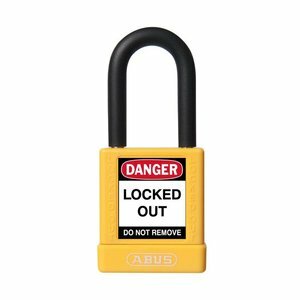 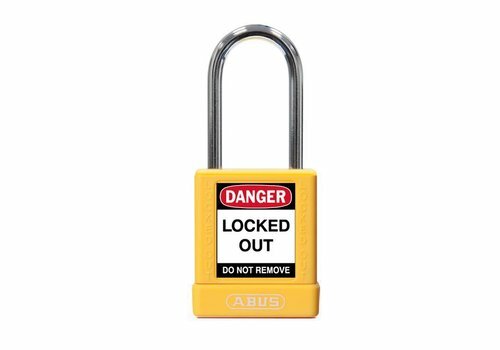 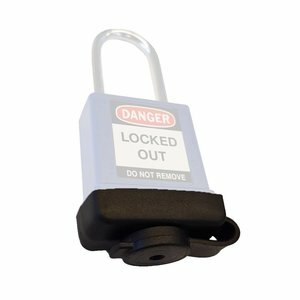 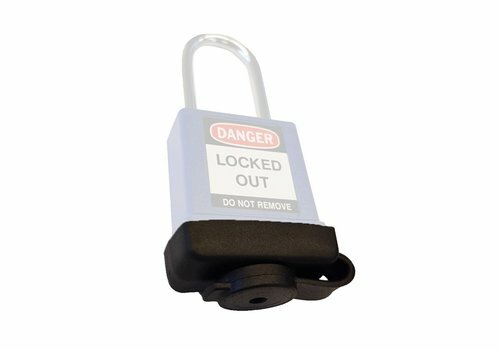 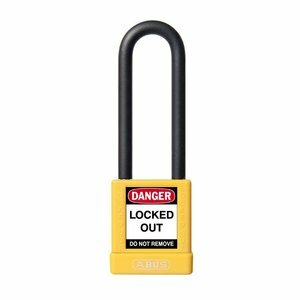 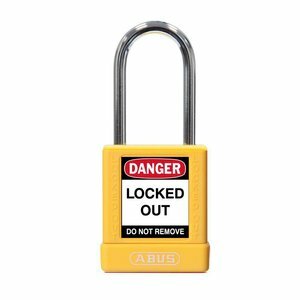 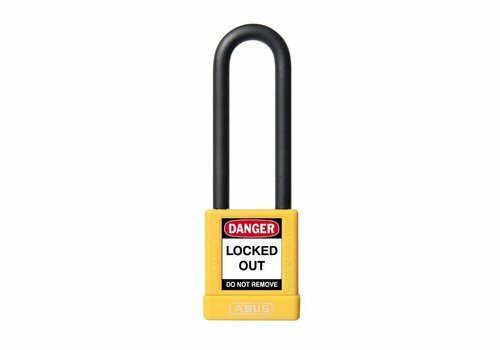 Leight-weight (88g) aluminium safety padlock with yellow composite cover and (6.5mm) nylon encased steel shackle. 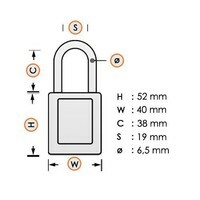 Aluminum safety padlock with yellow composite cover, steel shackle (ø 5mm, H 38mm) and key retaining function. 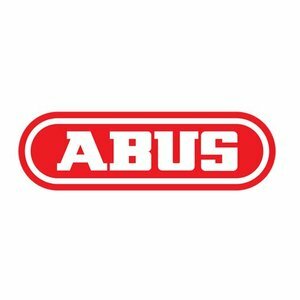 Robust rugged TPE cover for Abus safety padlocks.